There’s this thing. This thing about homelessness in Long Beach. It’s not a fun thing, it’s definitely not an empathetic thing, and worst, it’s not an informed thing. I have (sadly) been a part of this thing for a long time. 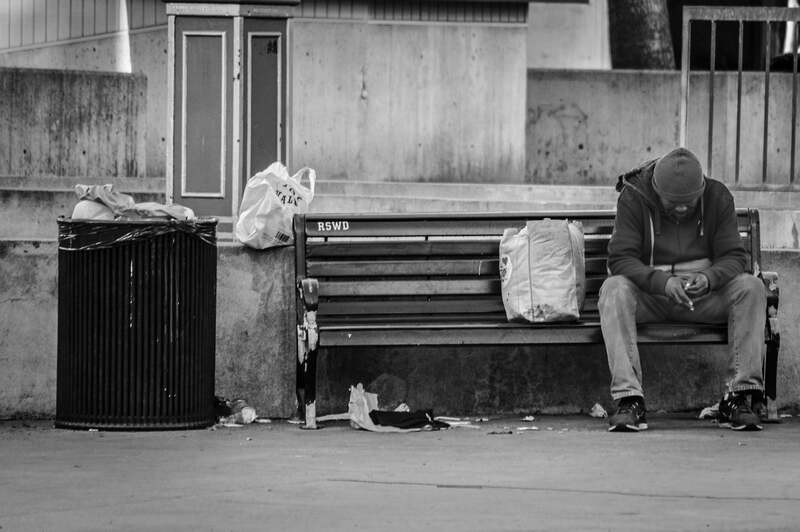 Myths run rampant about homelessness in Long Beach, myths that are, at their roots, cruel. Completely ill-grounded claims that unchecked Metro Blue Line rides act as a massive homeless migration vehicle that dumps them into Lincoln Park. Perturbing conspiracy theories that most homeless people actually want to be homeless. Unchecked beliefs that the creation of homeless services act as a magnet for homeless people from all around to migrate. Then there are myths that aren’t necessarily vitriolic in intention or spirit, but simply misaligned. Like the myth that randomly feeding is a good practice because it stems from kindness; that the giver gets an ego boost knowing they provided food while the receiver’s hunger pang momentarily dissolves. However, like the aforementioned misconceptions, this isn’t true. Here’s the thing: these are all, as mentioned, misconceptions—and dangerous ones. Unless you’re some deeply cold-hearted person who simply doesn’t care about homelessness (and in that case, I suggest migrating to a deserted island solo to live out your nihilism), it behooves you to understand that homelessness is complex. It takes incredible strength and patience to truly face it head on because not only does one realize how stereotypical we are in our thinking about it but how much we and the system we’ve created exacerbate it. All too often—myself being a part of this guilty party—we have this very romanticized idea about work, about place and home, and about “how we got where we got” in this country. There are myriad other reasons—far more grounded, far more understandable but ones we easily dismiss—that should be afforded to any stranger you haven’t even exchanged words with. Many run away from abusive situations, be it their families or partners. The LGBTQ community is disproportionate in its homeless population due to rejection, the inability to receive proper mental care; in fact, according to the first ever state-sponsored disparities report in regard to the LGBTQ community and mental health accessibility, an alarming 77% of the community sought mental health services. Having the battle of mental health issues—LGBTQ-oriented or otherwise—poisoning families. Or, on a far more blunt level, the fact that housing, food, and healthcare in this country are exorbitantly expensive. Unless you’re some deeply cold-hearted person who simply doesn’t care about homelessness (and in that case, I suggest migrating to a deserted island solo to live out your nihilism), it behooves you to understand that homelessness is complex. It takes incredible strength and patience to truly face it head on because not only does one realize how stereotypical we are in our thinking about it but how much we and the system we’ve created exacerbate it. When it comes to feeding, we get this momentary boost of happiness and a ever-so-wonderful ego stroke: “I performed an act of kindness.” Sure. But here is a harsh reality, one that friend and founder of Beacon for Him Shannon James explained to me earlier this year after she had to learn the hard way when she began to randomly feed the homeless situated at Lincoln Park: randomly handing things to the homeless (except a guide for services) is deeply detrimental. First, you have to face some extremely tough questions and direct them toward yourself, a process that for myself was extremely difficult—mainly, “Why?” Why are you doing what you’re doing? It is because you want that ego stroke, that momentary lifting of the guilt that pangs you when you see someone huddled in a corner before you grab your specialty coffee? Or do you do it because you genuinely want to help? The issue is a complicated one because we go into auto-mode when we see people in unfortunate situations that we ourselves aren’t in; we think we know what they need because of the immediacy of the situation rather than examining the broader picture. Without a streamlined process, we foster the most poisonous of all sentiments toward the homeless: pity. Even worse, familiarity breeds contempt; the homeless expect there is nothing more worthwhile than handouts and the handoutters feel like this is who the homeless are, these begging _things_ that are slowly stripped of identity and, the worst, stripped of their humanity. We must, as a community, support those who create services for the things we ourselves are too cowardly, too lazy or too cynical to address. I know I myself can’t take on the task; I become too easily overwhelmed, as I did when Antoinette gave me a tour of Mental Health America’s Village in DTLB. The faces of men, younger than me, waiting patiently to use the washer and drier or sifting through the organization’s pick-and-choose closet not only made me pause for reflection, but realize how cowardly it is for me to make any assumptions about “what is being done with the homeless” before witnessing what is being done. I cannot take on the task. I admit this with the dents and scratches that come with saying it: I am too weak, I am too overwhelmed, I am too tired—pathetic statements when put into focus but faults I nonetheless admit. This, of course, doesn’t mean I give up and—far more important—does not mean I point fingers. I don’t point toward City Hall or Metro, toward services or the homeless themselves. I don’t scoff at a mental health facility moving into my precious El Dorado neighborhood like a pathetic, frightened NIMBY. I don’t make proclamations that no one does anything about Lincoln Park (because they do). Even if you think you have the best of intentions, there is one simple thing you need to ask yourself: what are you learning versus what you are professing? Learn more because Long Beach is in deep need of a very long spring course..